You can still sign up for Vivek's class on Wednesday, January 27. You can also come to the jam on Sunday, January 31 from 5-8 pm. Please Register if you would like to be put on our waiting list. Join guest artist Alicia Grayson and the Buffalo Contact Improv Community from Thursday, January 28th through Sunday, January 31st for a contact improvisation intensive at Wasteland Studios. From a solid grounding and technique in CI fundamentals, through practicing BMC and experiencing the thrill of deepening the connections, these days will hold rich and delicious opportunities for all who come to explore! The workshop includes all meals, and several options for performance. CLASS & JAM Wednesday evening, January 27!!! 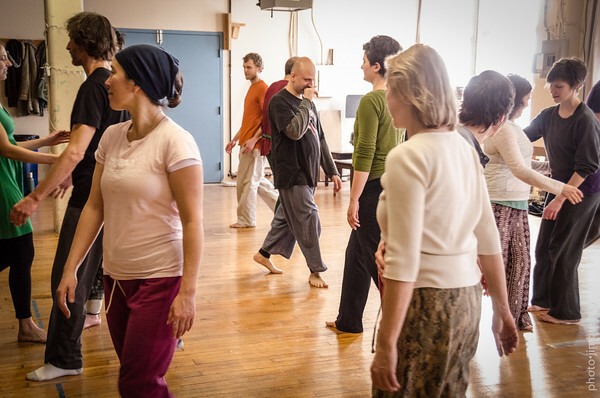 Classes and jams FREE to Mission Improvable: Embodying Contact participants.